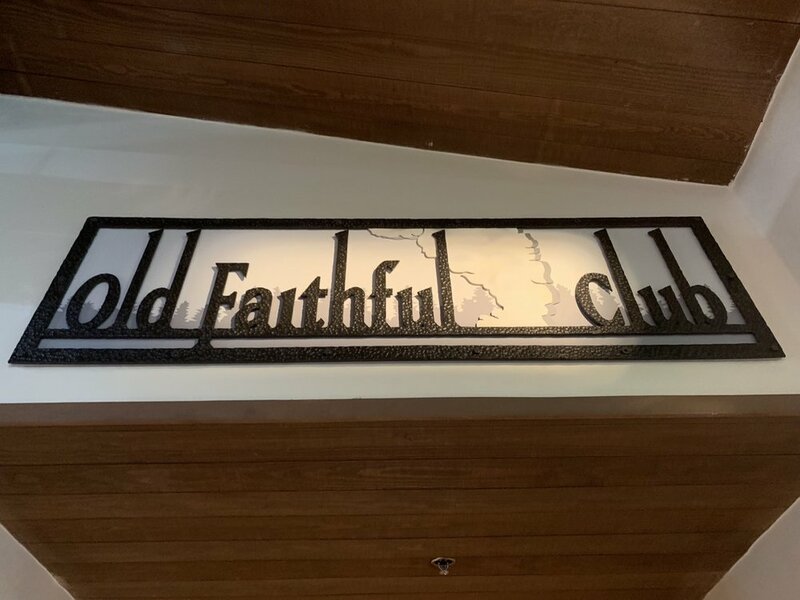 In this post, we review the Old Faithful Club, the Club Level offering at Disney’s Wilderness Lodge. If this is the first post of ours you’re reading, there might be two others you’re interested in. First, we have separately reviewed Wilderness Lodge. If you’re looking for information about the hotel generally, you’ll need to read that post. Second—and maybe more importantly—we have an entirely separate post covering the ins and outs of Club Level at Walt Disney World. If you’re wondering about the details of whats included, whether it’s worth it, and just how we evaluate it broadly, you’ll want to check out that post. 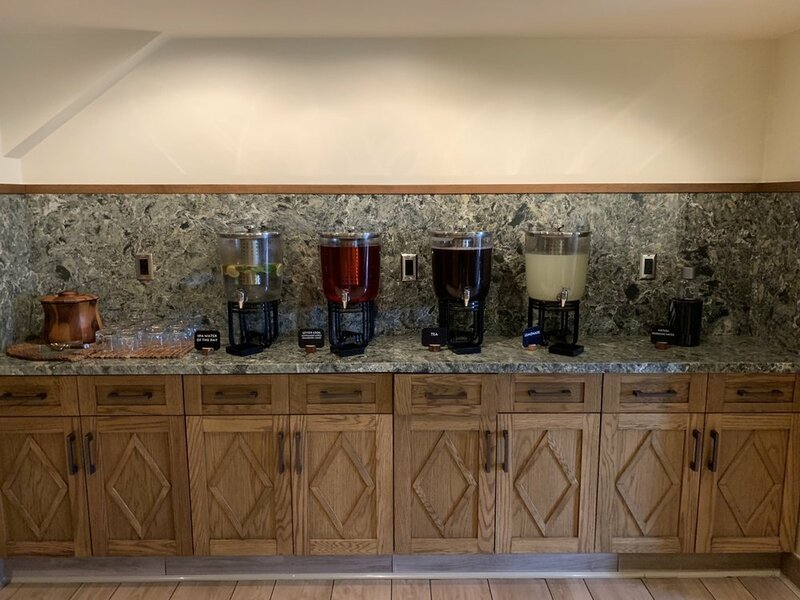 This post focuses specifically on the Old Faithful Club Lounge at Wilderness. We booked our most recent visit to Wilderness Lodge through our choice Authorized Disney Vacation Planner, Lauren Quirk at Enchanted Escapes Travel. We paid $504 for a Standard Room with Club Level access using an annual passholder discount. The rack rate for the room was $630, meaning our discount was good for 20% off. The lowest-rate Club Level room at Wilderness Lodge in 2019 is $624 per night. The lowest standard room costs $374, meaning Club Level comes in at a fairly hefty premium of $250 per night. Interestingly, you can also add Club Level to a regular Wilderness Lodge room by paying a fixed amount. It’s currently $100 per night, but the Cast Member who checked us in told us that amount is expected to change shortly. We arrived at about 1PM. Happily, there was no line at the front desk, and either way there was a Cast Member ready to see what people were there for. We told him we were checking into Club Level, and he took us upstairs where we were handed off to a Club Level Cast Member. This was one of our smoothest check-ins ever. Our room was ready, and the Cast Member was quick to make sure we knew everything we needed to know about the lounge. We’d already told them we had stayed at Wilderness Lodge before, so we surely saved some time avoiding the details about the hotel. We were also given a business card with the Club Level’s contact information. The business card is a classy move. I never realized until now that putting the phone number on the welcome letter is silly because people are just going to leave the letter in their rooms. The card also has the hotel address. This isn’t a huge deal at Walt Disney World, but hotel business cards are an old school way to make sure your taxi driver knows where to take you. Later, we received the welcome letter in our room. The letter was very nicely designed, and the backside listed the daily menus for the hors d’oeuvres serving (posted below). We were also given Wilderness Lodge chocolate bars. The Old Faithful Club Lounge is located on the seventh floor of Wilderness Lodge on the balcony around the lobby. The lounge and several rooms are separated from the rest of the seventh floor by a Magic Band protected door. There’s also a carved bear, Humphrey, guarding the entrance. Most of the lounge seating is located in an area along the northwest side of the building. Here you’ll find two televisions, seating for thirty-four adults and six children, and the two concierge desks (staffed 7AM to 10PM). Adjacent to this room is the serving room. Interestingly, the serving room is usually closed outside of the serving times. If you need something—coffee, water, soda—you’ll have to asked a Cast Member. This isn’t wholly uncommon across the lounges. Several use ropes to block off the serving area outside serving times, primarily to make it easier for them to clean everything up. This is the first lounge where we’ve seen the room fully closed off with doors, though. Additional seating for thirteen people is available along the northeast side of the balcony. The main view from the Old Faithful Club Lounge is into the Wilderness Lodge lobby. This is similar to Kilimanjaro Club at Animal Kingdom Lodge. There are two big differences between this location and Kilimanjaro Club. First of all, the lobby of Wilderness Lodge is nowhere near as noisy. Yes, you can hear conversations because the sound really carries, but you won’t have people playing drums several hours each day. Second, there are two outdoor balconies at the Old Faithful Club. These look toward Magic Kingdom, although the view is entirely obstructed by trees. You can watch the Happily Ever After fireworks from this balcony. The music for the show is also played through speakers on the balcony, giving you the full firework experience—minus being able to see Cinderella Castle. The Old Faithful Club staff set themselves apart early. 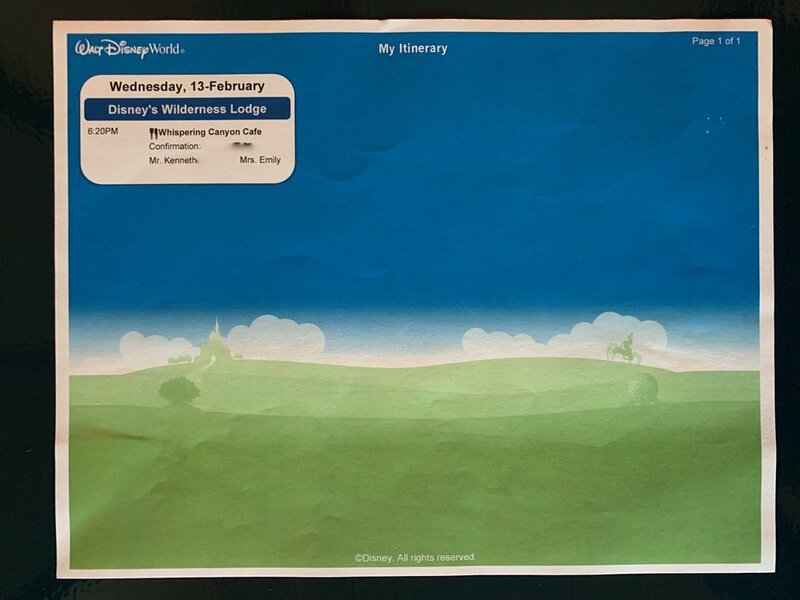 While Disney advertises Club Level guests as receiving pre-trip services, Wilderness Lodge was the only resort where we received an email from the staff ahead of time inquiring about our needs. It’s possible that had we booked our other stays further out we would have received emails from them, but several of the other stays were booked over a month out, easily enough time to warrant a welcome email. The staff also treated guests with the “Disney” touch that frankly I think is starting to disappear around Walt Disney World. Service was always with a smile and “welcome home” was an incredibly popular phrase. On the flip side, Old Faithful Club fell prey to some of the frequent issues we’ve had at Disney’s club lounges. It wasn’t uncommon for dirty dishes to linger, especially during the afternoon serving. There was also very little proactive service, even during the evening servings. Like some other lounges, though, the alcohol was constantly guarded by a Cast Member who was more than willing to serve you if you approached him. The staff are always a treat when you interact with them, but they’re not really being put in positions to create a truly luxurious experience. Something as simple as assigning a Cast Member to walk the floor every 15 minutes to check on guests and tidy up would go a long way. Turn-down service came with the traditional Ghirardelli chocolate and a nice card with a Native American proverb. We also received two itinerary letters. One was the standard Club Level letter we received almost every other trip. The other was more plain and just listed a dinner reservation we had. The lounge itself is open 24 hours (due to its open position in the building) though it’s only serviced from 7:00AM to 10:00PM. During those hours, you can request simple alcoholic beverages (beer, wine, and champagne). Old Faithful Club is the only lounge with beer on tap, serving Elysian Avatar and Kona Big Wave. Throughout the day, coffee, tea, cold beverages, and refrigerated beverages are also available. As we noted above, you can add Club Level to any booking at Wilderness Lodge for $100 per night. You won’t be on the club floor if you do this, but you’ll have access to the lounge, which is really what you’re after. As we also noted above, the premium to book a Club Level room directly (which will put you on the club floor) is around $250. As long as Disney is offering the ability to add Club Level to any reservation for less than the cost of a Club Level room, we’d highly recommend going that route if you’re going to book Club Level. While the lounge and service at Old Faithful are above average, this is a lounge where you’re really going to want to do some “meal math.” In truth, Wilderness Lodge is a fantastic space to lounge around in general, with seating on pretty much every floor around the lobby. You don’t need to pay for the lounge just to sit around. Relatedly, the lounge doesn’t offer a great view like Atrium Club or King Kamehameha Club. This really does come down to how much money you can save on food. We figure you can get the equivalent of one quick service meal out of breakfast, which gets a family of four about halfway to the $100 per night premium. Beyond that, you have to ask if you want to come all the way back to Wilderness Lodge for another meal, particularly dinner. Wilderness Lodge is one of the worst deluxe resorts for transportation, so it’s asking a lot to return here for dinner. Desserts and alcohol could cover some of the remaining cost difference, especially on an adults only trip. Overall, justifying $100 per night is doable, but getting to $250 is challenging. As far as Disney’s club lounges go, Old Faithful Club was one of the most pleasant to spend time at. Much like Wilderness Lodge as a whole, there’s just something comfortable about the aesthetic, space, and design in the lounge. Old Faithful Club was a unique experience. There were some things we had never seen in a Disney lounge before, like the beer on tap. There were some things that weren’t entirely new, but rare, like the gold-colored themed chocolate bar, the lobby view, and the lovely lounge design. Old Faithful Club has shortcomings, but for the most part they’re the same things that seem to plague every Disney lounge. To that end, Old Faithful Club is one of the better options if you’re going to stay Club Level at a Disney resort. Like most things Disney, it comes down to price. While we’d never pay a $250 nightly premium for Old Faithful Club access, something between $100 and $150 is more palatable for the right kind of trip. Old Faithful Club is at least on the shortlist of Disney lounges we’d consider a return trip to.